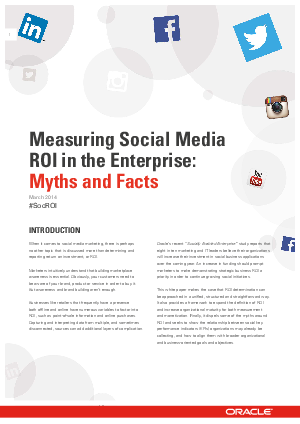 When it comes to social media marketing, there is perhaps no other topic that is discussed more than determining and reporting return on investment, or ROI. This white paper sets out to make the case that ROI determination can be approached in a unified, structured and straightforward way. It also lays out a framework for expanding the definition of ROI and increasing organizational maturity for measurement and monetization.